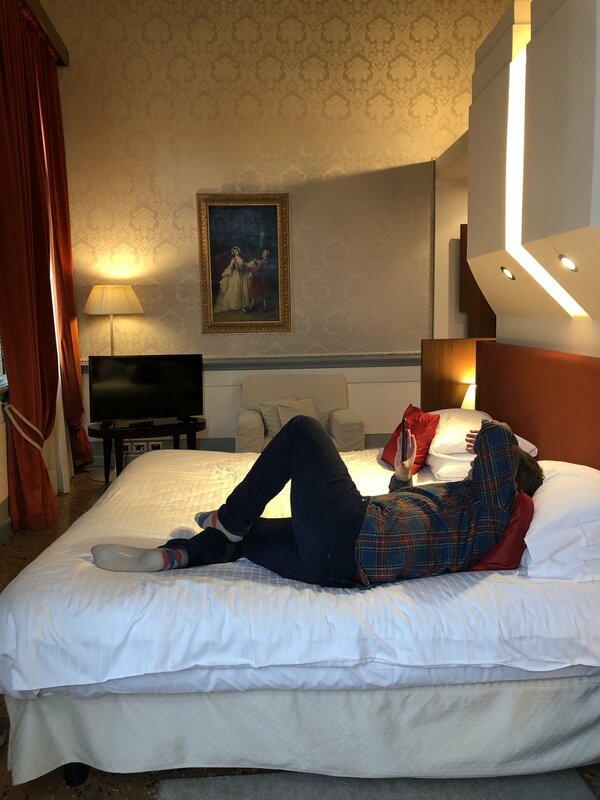 The other day we shared some lessons learned on our trip to Italy. If you missed Part 1, go check it out here. Today we’re back with Part 2! One thing I didn’t mention when I posted the other day - anyone notice the URL change? We are officially millennialmarriage.com. That’s right, we got to drop the superfluous “A” at the beginning of our site name! Moving on up, y’all. 6. Don’t just make a list of the things you want to do - do some research and figure out how to do it. When we were in Florence, we decided to buy Firenze Cards to get access to all of the museums and sights in the city. The problem: I didn’t actually research how to go about buying them. Turns out, the cathedral’s ticket office was across the street, and the Firenze Card ticket office was several blocks away. We hoofed it over to the Firenze Card office, irritated with ourselves and one another, and acquired tickets. 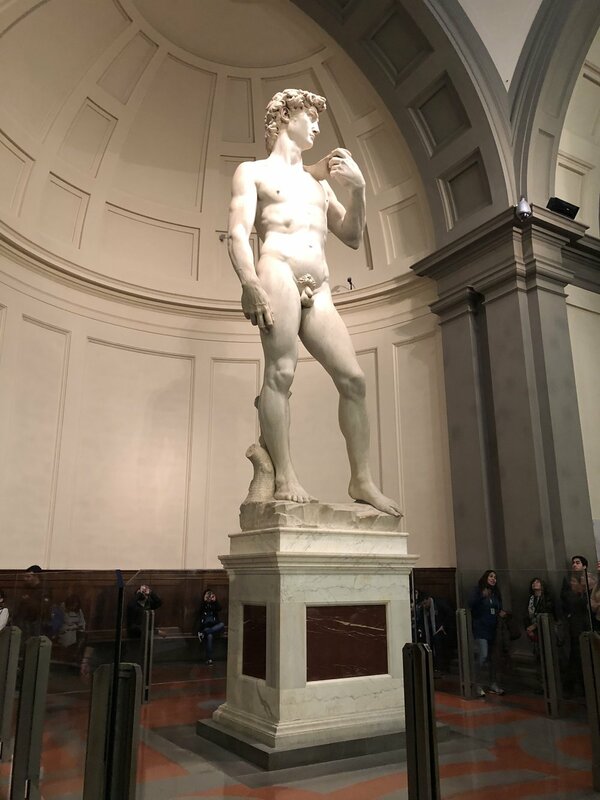 Once the irritation passed (and after we spent several minutes bickering and then drinking espresso while silently seething), we walked over to Accademia Gallery for an impromptu visit to Michelangelo’s David. 7. It’s okay to take it easy so you don’t burn out. My original itinerary for this trip was a non-stop, jam-packed sightseeing blitz. The thought process? We are going to Italy! MUST SEE ALL THE THINGS. If we’d actually followed it, we would’ve needed a vacation from our vacation. The jet lag is bad enough - spare yourself the exhaustion and build in some time to relax, whatever that means for you. For me, relaxation means sitting at a cafe sharing a bottle of wine and a cheese & charcuterie plate. For Derek, relaxation means not setting an alarm to wake up in the morning. We had to compromise on Derek’s version of relaxation a good bit because otherwise, we wouldn’t have gotten to see very much in daylight. But we did make time to sleep in when we needed it. My advice? Figure out what’s important to you - your “must sees.” Make sure you hit those sights, and then have a list of secondary sights to see if you have spare time AND feel up for it. I am very sad to say we didn’t discover house wine until our second night in Florence, almost halfway through our trip. What is house wine? It’s wine that comes from a giant jug and is then poured into a smaller jug (around .75 L) for your table. And it is cheap. We usually paid around €12-14 for a jug - less than the price of 2 glasses of the cheapest wine on the menu in a nice American restaurant. 9. Learn some key phrases in the language of the country you’re visiting. I spent some time on DuoLingo before our trip, but it turns out I have terrible language acquisition skills - should’ve learned this lesson when I was a straight B- student in intro Spanish in college. Derek didn’t do much preparation but spent a ton of time while we were there learning/practicing phrases, and he actually picked up a decent amount of Italian. Next time we go to a non-English speaking country, I plan to spend more time beforehand learning key phrases. Derek wants to straight up learn the language. There will be many Rosetta Stone purchases in our future. A great Italian tradition is aperitivo - loosely translated (by me) as “happy hour - with snacks!! !” You go to a bar/restaurant between 6-8 PM, buy a drink, and they’ll often have a free snack buffet. We went to a fancy cocktail spot one night, and they served olives & potato chips with aperitivo rather than the buffet setup. Either way, I love my drinks with snacks now. As soon as we got back to the US, y’all know I bought a bag of Lays and some green olives to feel more Italian while drinking my evening glass of wine. 11. Traveling as a couple helps you learn more about yourselves and each other. Derek and I have very different travel styles. This trip helped us grow a ton, figure out how to compromise, and determine our personal strengths and weaknesses when it comes to travel stuff. For example, I can’t for the life of me read a map, so Derek was the Google Maps guy on this trip. Derek prefers to go with the flow rather than stick to an itinerary, so I took charge of keeping our schedule in line when we had places we HAD to be at certain times, like for the start of pre-planned and already-paid-for tours. You also learn to problem solve together on the fly when things go awry. Overall, we got back from the trip with a greater appreciation and deeper affection for each other because we learned so much about ourselves and each other. We plan to make traveling together a priority going forward. We had an amazing trip, despite the few mishaps we mentioned - and let’s be honest, the mishaps make great stories. Stay tuned for more on our Italy trip - all of our recommendations for Rome, Florence, Venice, and Verona will be shared in the weeks to come! Now we want to hear from you - what lessons have you learned from your travels? Anything we should keep in mind for our next adventure? Let us know in the comments!